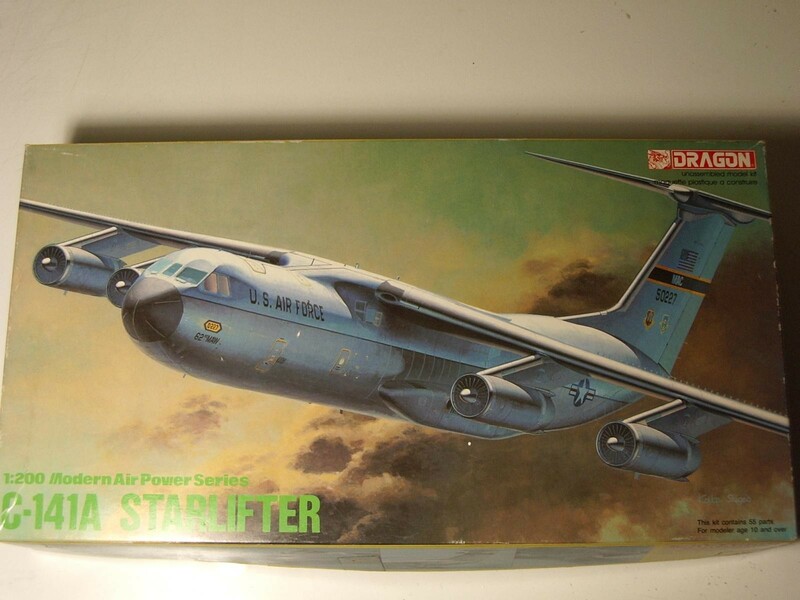 30 responses to Lockheed C 141A Starlifter, 50227, 62nd MAW USAF. 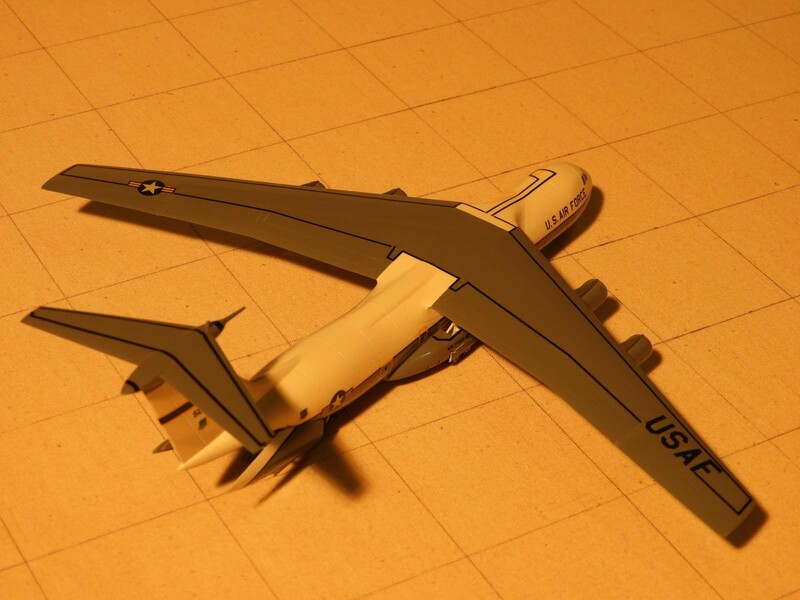 Looks good, Allan…what’s the wingspan on this 1/200th kit ? Thanks Craig, from kit instructions span is 48.7400m = .2437m, length is 44.2000m = .2210m, height is 11.9600m = .0598m. 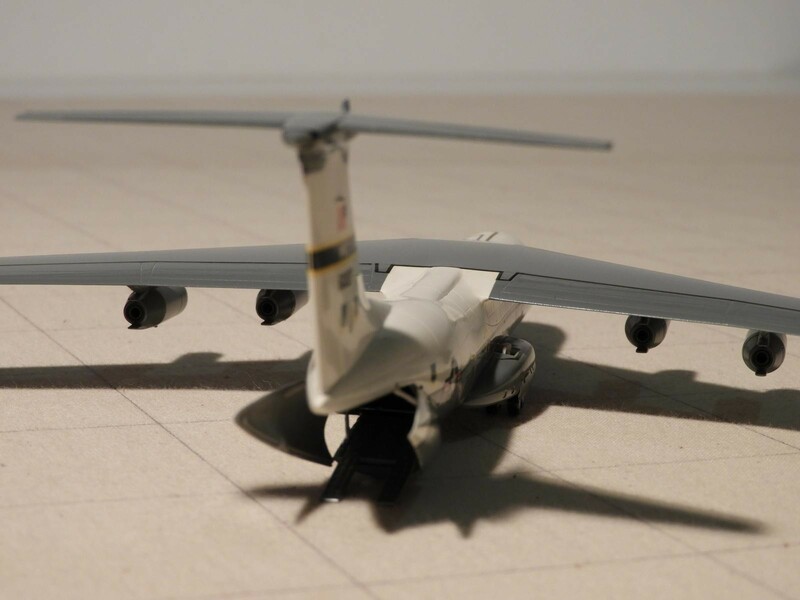 Trivia time; John F Kennedy’s first official legislative task was to sign off on the development for the Starlifter. Thanks for that info David. Nice build!! nice to see. 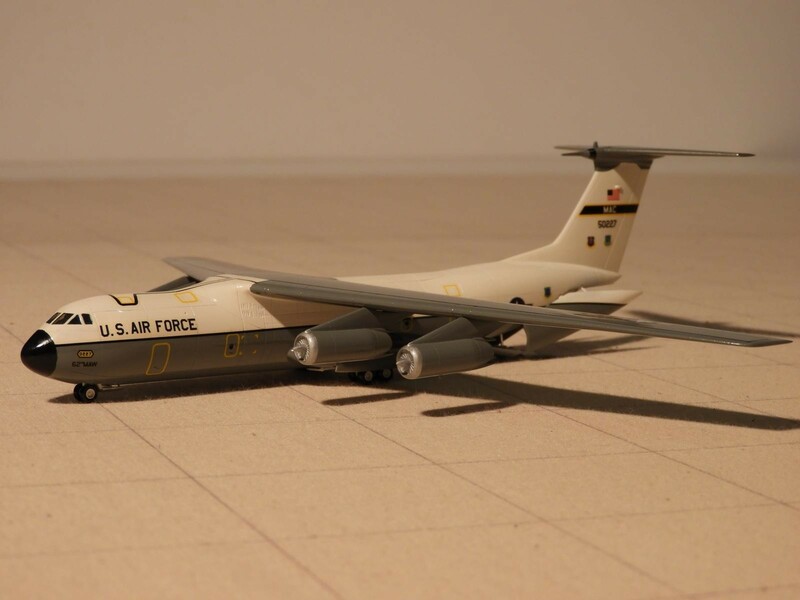 I flew in one of these twice, once as a Med evac patient after braking my leg in the Med. another time with my Reserve group, heading for the Med. Thanks Robert, how far apart were these flights and how did you brake your leg ? About fifteen years, I was wrestling with a shipmate for a seat in our shop, we tripped and he fell on me, it was on Saratoga ’76, The reserve trip, we were catching up with the JFK. Thanks Robert, it’s a hazardous life in the military !! The guy felt really bad after it happened, but it got me back in the States, during the bicentennial celebrations in Philadelphia. She’s a beauty, Allan. Love the finish! This one look great Allan !!!! I remember seeing ours in the overall Dark Gray colors. Some may have had some green on them too. (It’s been a long time ago……….). I think they may have been painted in “Gunship Gray”. 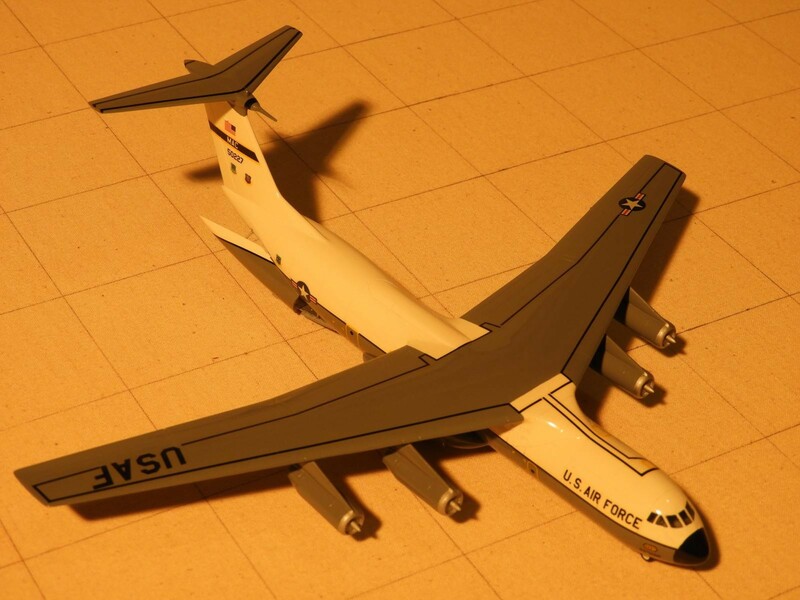 It’s a huge plane in real life. Thanks Louis, they used to visit RAAF base Richmond in this scheme, many years ago !! Very nice Allan. A nice job on a kit I don’t see too often. Very nice indeed sir, I like this. Another nice one Allan! You definitely have a penchant for picking projects we don’t see often! Thanks Greg, I like to do different subjects ! 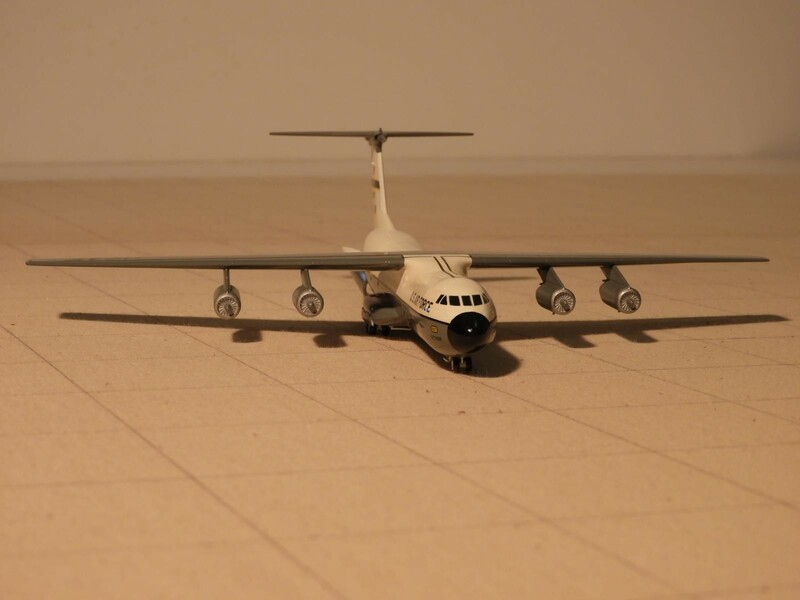 Yet another very cool plane from you, Allan, immaculately turned out, keep them coming. Thanks George, sure will !! Excellent build with a superb finish. 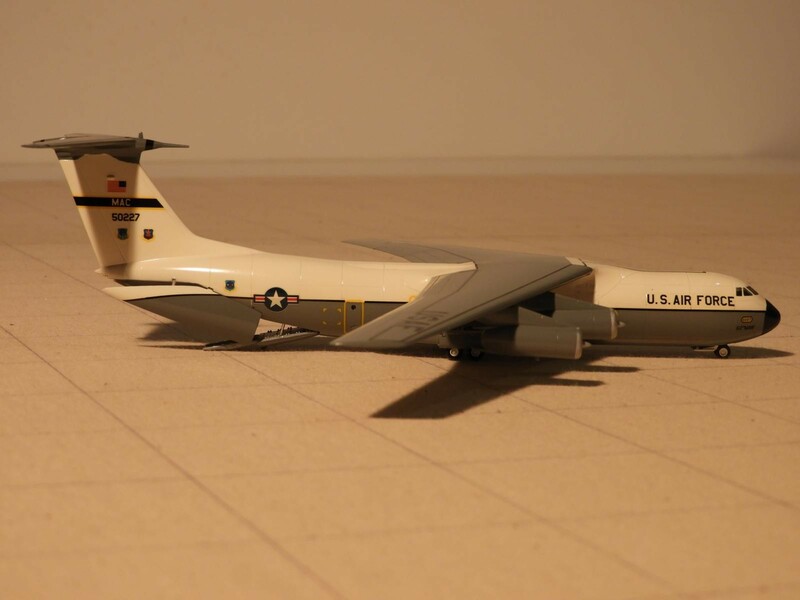 Well done Allen, made one parachute jump from a Starlifter while going through the Army Airborne School. 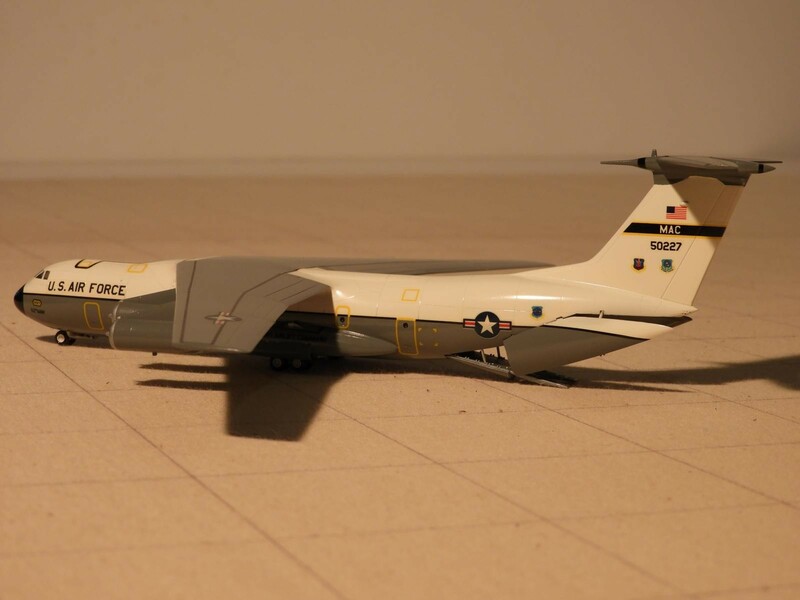 The Starlifter that flew the POW’s out of Vietnam is now displayed in the USAF Museum. Lots of the guys took markers and wrote their names on her bulkhead. Their names are still there and that makes her one historically interesting A/C. Thanks Tom, good to know, what other aircraft did you jump from ? Allen, C-130 Hercules, C-123 Provider, CH-47 Chinook, and UH-1B and UH-1D Hueys. A total of 34 jumps, no tree landings, 2 landings on a runway and just one entanglement where we both landed together. That one was at an air show and in attendance was my wife and three daughters. The dummy that flew into me wasn’t paying attention.